Be a part of the newest Spanish school in Nicaragua, with the oldest tradition in Spanish instruction in the country, Managua Spanish School. Inquire for special discounts for Spanish courses in 2016. Support us in the rights of wild animals. FUNDECI participates in the struggle for environmental justice at Big Cola. 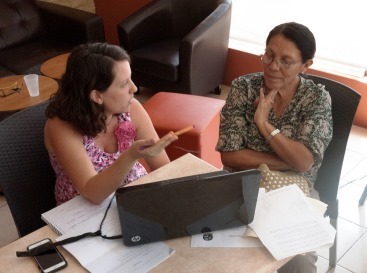 Managua Spanish School teachers are available for classes at any point in the city. Photo Jeffrey McCrary. 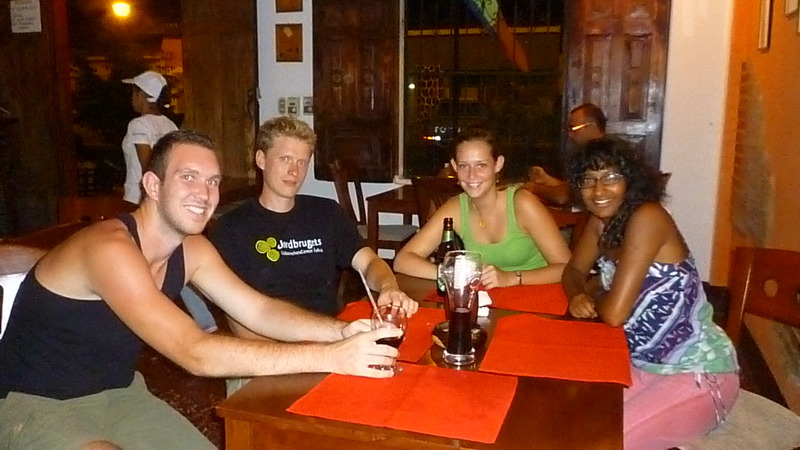 Learn Spanish in the most dynamic city in Central America, at Managua Spanish School. With recent years of tremendous economic growth, Managua is no longer a sleepy town. Today, Managua is the most vibrant city in the region, with international quality cultural offerings. Furthermore, it is the gateway to the entire country, from which every point can be reached most efficiently and directly. From great dining at modest prices, to cultural expressions on many scales, Managua gives much to the visitor. Managua is a great place to learn, live, work, and enjoy. Photo Anne Sutton. We are part of the GAIA Program at FUNDECI, which has operated in Nicaragua since 1973. All our proceeds are used to promote environmental causes, increase awareness and train local community members in important skills. GAIA has the longest tradition of intensive Spanish courses in the country, and our teachers are the most experienced and best trained available. Our intensive methodology relies on extensive exposure to the language, focussing on grammar which is essential to learning conversational Spanish, and a combination of reading, writing, and verbal conversation. 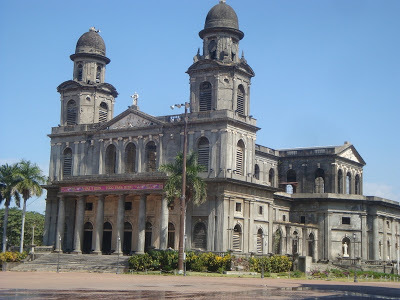 The "old cathedral" in Managua is among the architectural icons of the city. Photo Joyce Procure. Our teachers can meet you at your office, home, or hotel lobby, at a local café, or at our offices in Villa Fontana in Managua. We can custom-design classes to fit your needs and schedule, so you can combine Spanish study with other important work and leisure activities. There are lots of great reasons to be in Managua, which surely counts as among the great secrets in tourism in Latin America. If you are in Managua for even a few days, we can provide professional Spanish classes at even the highest levels of proficiency. Spanish classes can be arranged one-on-one or in small groups. Photo Mayela Blas. These days, there are many Spanish schools in Nicaragua. 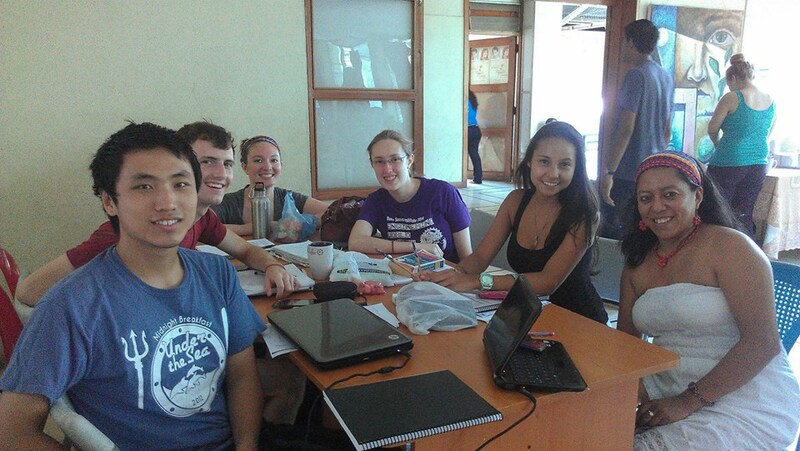 How to decide which Nicaragua Spanish School is the right one for you? 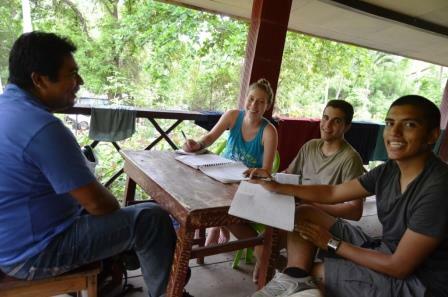 We at GAIA operate the oldest intensive Spanish language school in Nicaragua, with the most experienced teachers in the country. We have trained many of the teachers in other intensive Spanish language programs throughout the country. 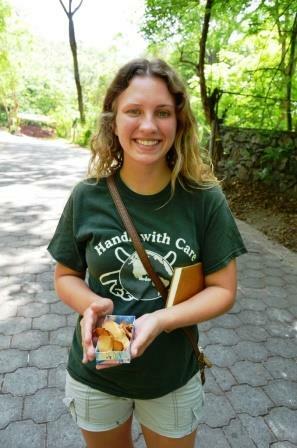 Our one-on-one instruction methods are based on years of experience in helping foreigners become better volunteers, interns and travelers. If you are looking for a rural Spanish school in a rustic setting, with wild birds and monkeys overhead and crystal water before you, and opportunities for service-learning volunteering as part of your study program, with a Nicaraguan organization deeply involved in the lives of the Nicaraguan people, then we think you should consider Apoyo Spanish School. 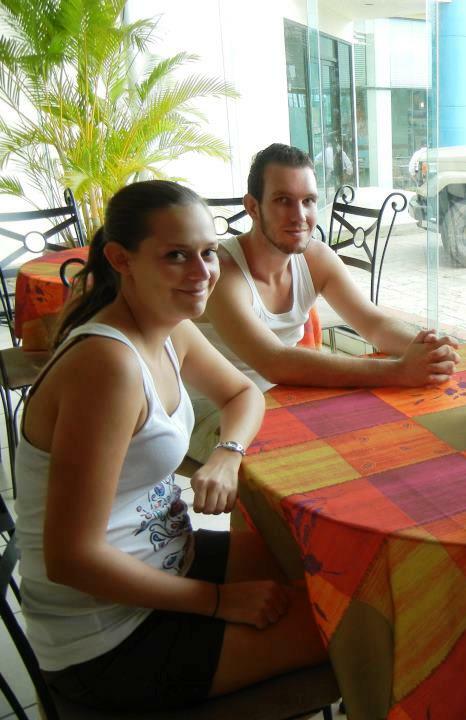 If you wish to learn in the urban setting of the capital, we offer Managua Spanish School to meet your learning needs. The city of Managua is safe and colorful at night. Photo Anne Sutton. If you would like to study Spanish with us at Apoyo Spanish School or at Managua Spanish School, then contact us first for availability and let us know any special circumstances you may have. Feel free to ask questions. 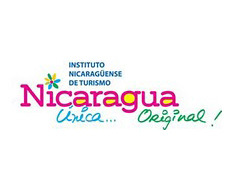 We want to help you have the best experience possible in Nicaragua. 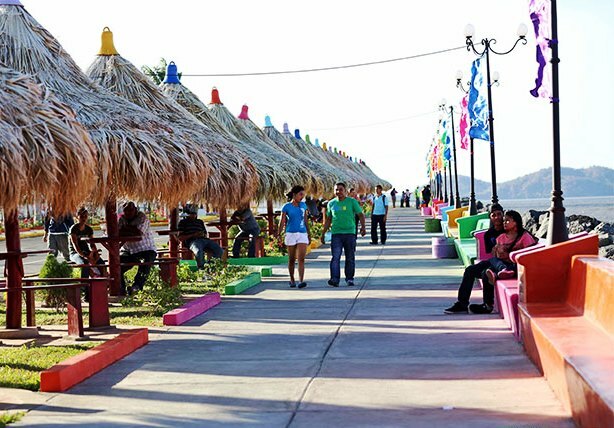 The Paseo Xolotlan lakefront district has recently become a great place for dining, walking and people-watching, day and night. Photo Anne Sutton. What to Bring with Me to Apoyo Spanish School? Spanish classes at Apoyo Spanish School and Managua Spanish School are given by the most experienced teachers in Nicaragua. Our teachers train the teachers of other Spanish schools. Photo Jen Moran. Managua is also great for nature activities such as birdwatching. 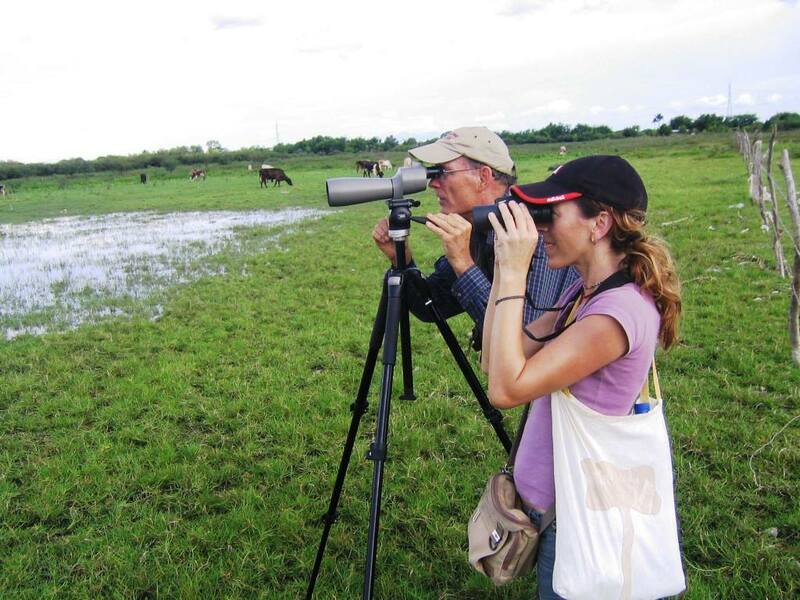 GAIA can arrange birdwatching excursions in and around Managua. Photo Jeffrey McCrary. 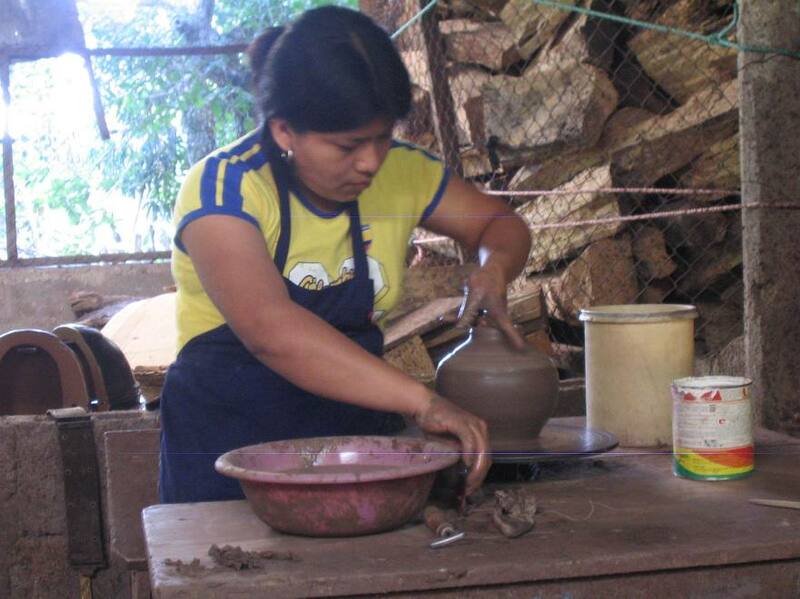 San Juan de Oriente, on the edge of Apoyo crater, is the most important center of artisan ceramic pottery in Nicaragua. 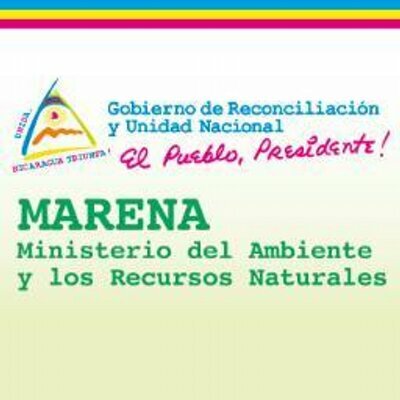 GAIA Program supports natural resource conservation in the region which is vital to the livelihoods throughout the area. Photo Jeffrey McCrary. 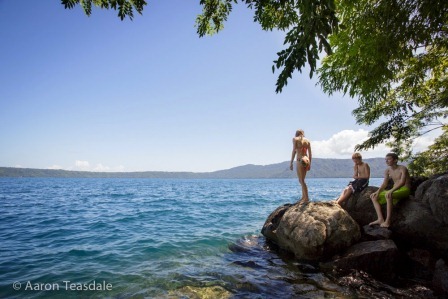 Everyone takes a break from Spanish classes to enjoy the water at Laguna de Apoyo, the best water in Nicaragua. 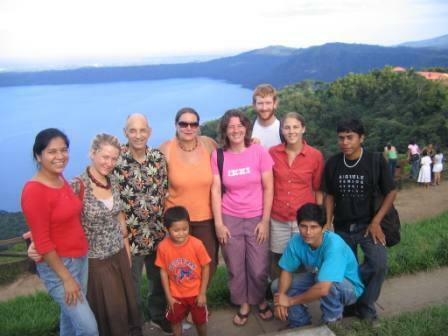 Students at Managua Spanish School are can arrange visits to Estación Biológica at Laguna de Apoyo for a day trip, or to take Spanish classes at Apoyo Spanish School. Photo Aaron Teasdale. Managua has many options for relaxing and enjoying food and culture. It is by far the most relaxing and accessible capital city in Central America. Photo Anne Sutton. 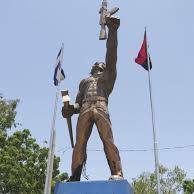 Sightseeing in Managua is strongly oriented toward issues surrounding the Nicaraguan Revolution from 1979 to 1990. Viva Sandino! Photo Anne Sutton.